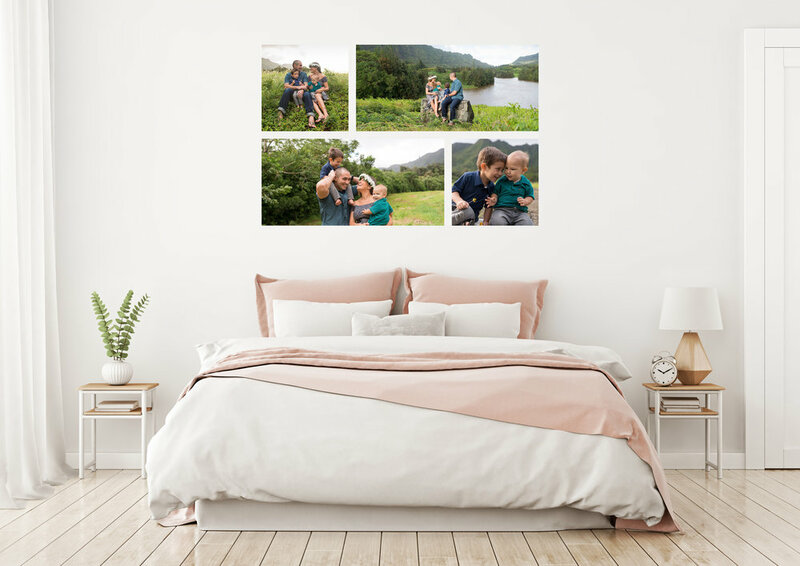 Each of our wall art collections are thoughtfully created for your space using hand-stretched canvas. After working with multiple families to design their perfect space, we have created several signature designs that are widely popular and will look amazing in your home. Below are some examples of our trademark designs. Individual art starts at $500. Collections start at $1500.